What did you like about the book? After learning about compound words in school, a little girl starts to picture the words literally. For instance, for housework, she sees in her mind’s eye a house vacuuming the house. 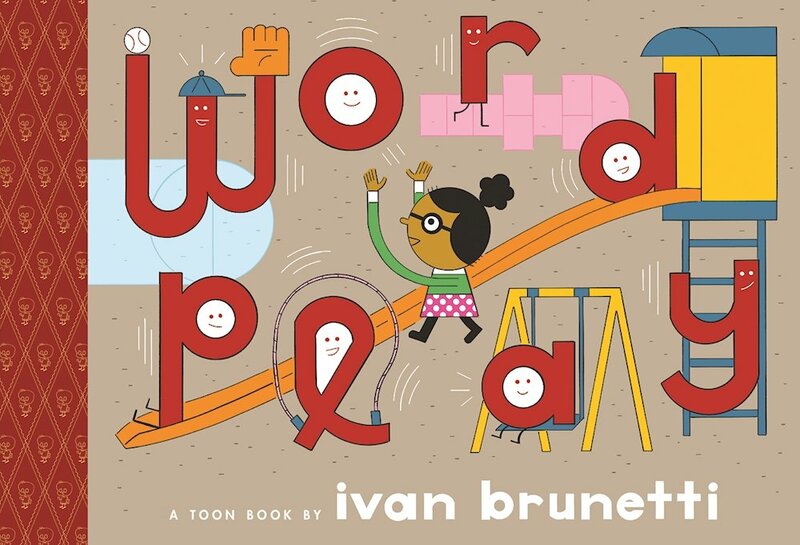 She continues the game with her dad, imaging many words and their literal embodiments. Brunetti’s signature India ink and digitally colored cartoons have a simple, geometric feel which is well suited to a graphic format. This easy reader is a humorous complement to lessons on compound words. I also like that the characters reflect the diversity in the school classroom. This entry was posted in Book Review and tagged Toon Graphic. Bookmark the permalink.